Welcome back! 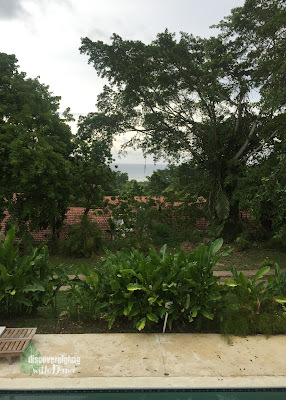 I hope you enjoyed yesterday's post on Sandals Ochi Resort in the beautiful Ocho Rios, Jamaica! I'm excited to be back again with more details on the beautiful rooms offered at Ochi. 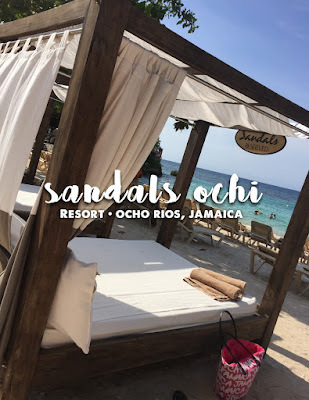 There are 20 room categories at Sandals Ochi Resort including rooms, suites, and private villas, one of which was featured on The Bachelor (and I saw it with my own eyes!!). With so many room options, that leaves something for everyone--any occasion and many price points, it also helps that Sandals is always offering amazing deals on its resorts, making that famous Romeo & Juliet Suite from The Bachelor a real life possibility for your vacation! 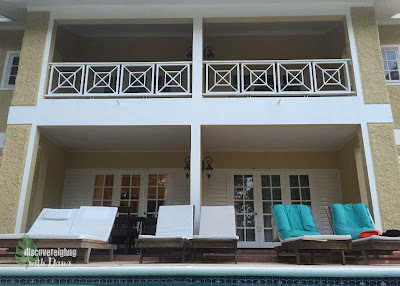 During my stay at Sandals Ochi, I was lucky enough to enjoy the Butler Village Oceanview One Bedroom Poolside Villa Suite atop the Butler Village "mountain". Though it was aways from the ocean, it was a beautiful suite with quick access to the beach via shuttle & a semi-private pool. 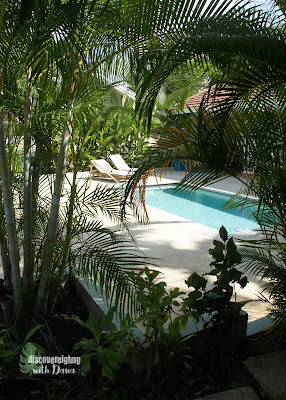 The smaller pool at the villa served 3 other suites (so 4 in total), but I never saw another soul around! So it could essentially be super private. 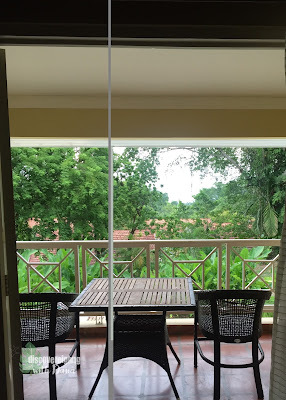 I loved that this suite was nestled on a hillside among the trees and greenery, yet still had a view of the ocean in the distance. Here is a look at this fab villa suite. 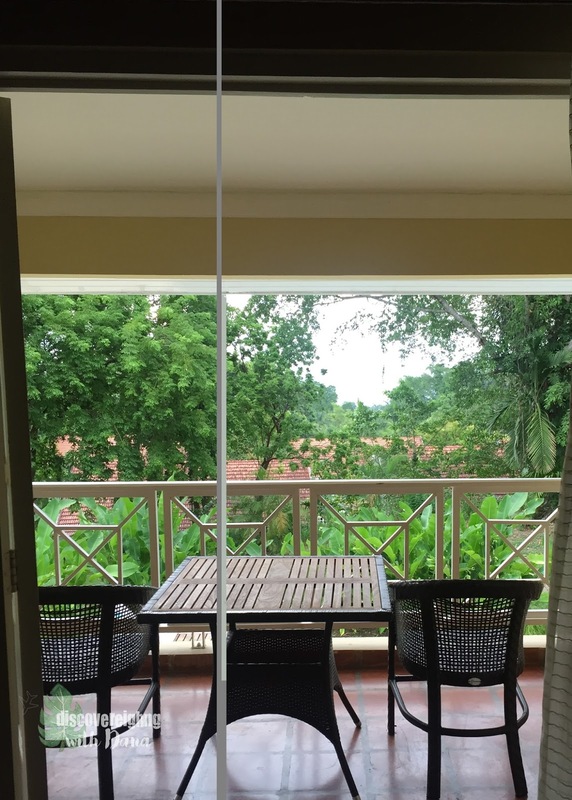 A very similar villa to the one above is the Butler Village One Bedroom Poolside Villa Estate Suite. 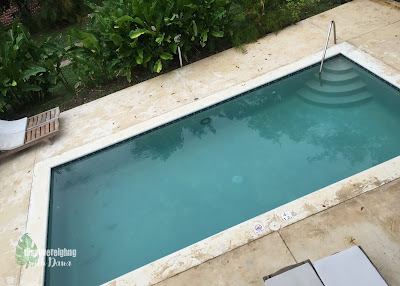 The pool for these villas serves 2 rooms rather than 4 like above. Here's a quick shot of the pool area. 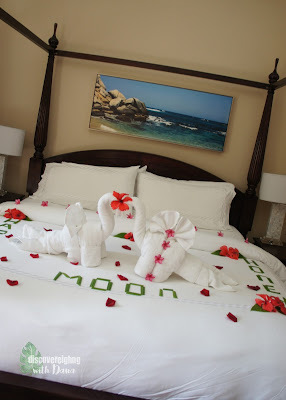 I've saved "the big one" for last, the Butler Village Honeymoon Romeo & Juliet One Bedroom Suite with Private Pool, featured on a one-on-one date episode of The Bachelor. 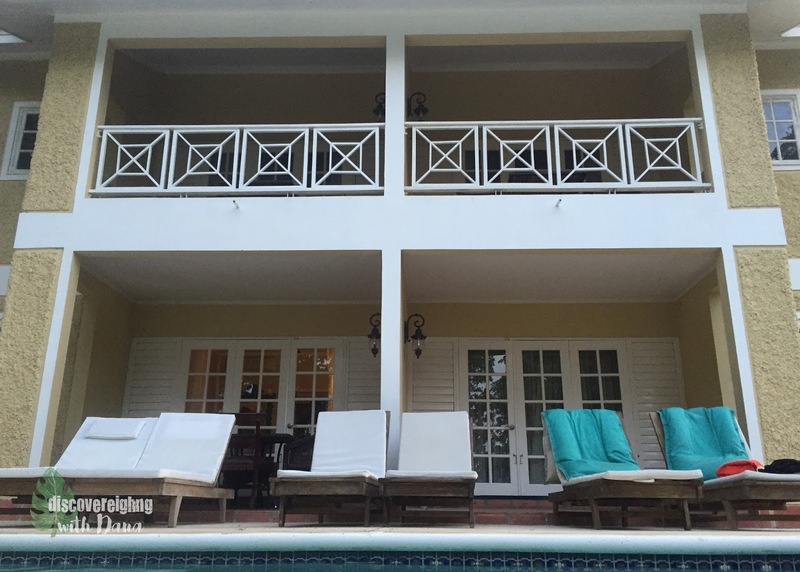 Ben Higgins & JoJo Fletcher stayed in this sweet little love nest, nestled on the hill at Sandals Ochi. 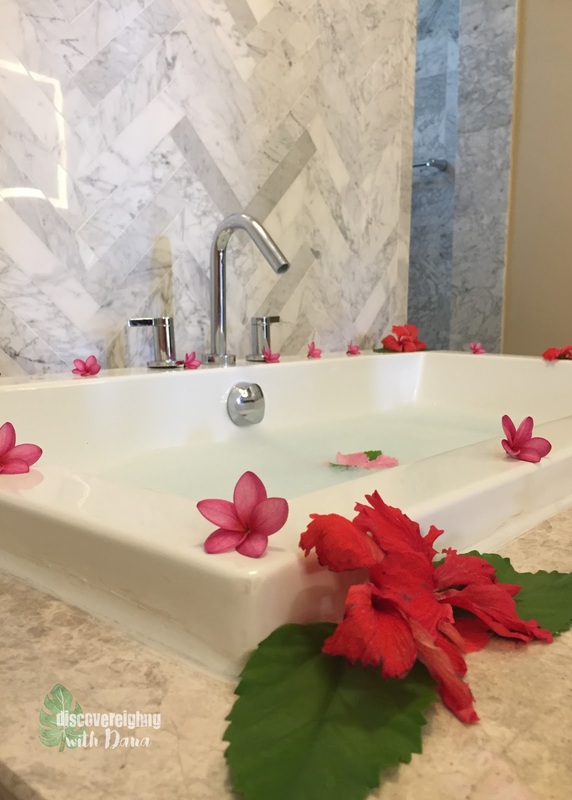 This villa pulls out all of the stops, including a butler, just for you, that leaves no detail untouched! These villas include a living area, bedroom & bath, both separated by a stunning courtyard with a private pool. Take a look at this stunning room, and the beautiful touches left by the villas' butler. If you're more into being close to the beach, Sandals Ochi still has plenty to offer! With a second section in The Caribbean Riviera area, Ochi many beachfront options. 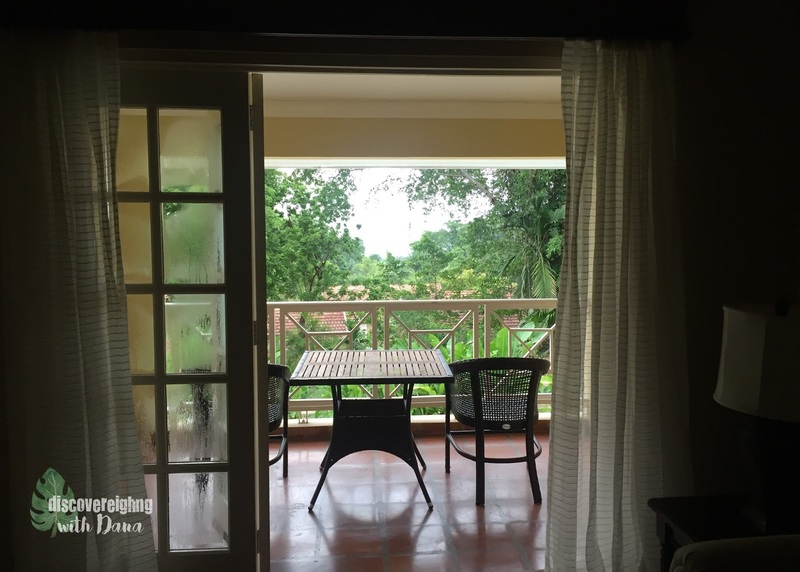 Even though Ochi is a large resort, this allows for rooms with tons of privacy and some among the action close to the beach. I've shared photo overload on Sandals Ochi, and still have a bit more to share tomorrow. 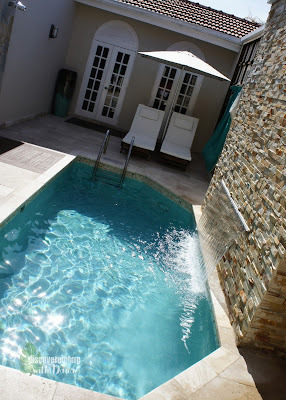 So check back then for views of the amazing pools and stunning ocean & beach views. You can view more information on my Sandals & Beaches Resorts sites. You can book your own trip there, or if you would like more one-on-one care, please contact me. I would love to help with your dream trip!